Summer is almost here! One of the favorite seasons of the Americans is all about warm and long days. It is during this time of the year, most cookouts, festivals, outdoor events and more take place. Some like lazing on the beach while few other prefer attending music or food festivals. In fact, everyone in the country is in a celebratory mood. Wondering what should you do this summer? Then here is a list of 7 coolest things that you can do in America this season. The Burning Man Festival that is held every year on Black Rock City, Nevada is a one of a kind festival that you should visit at least once in your lifetime.This festival witnesses different form of artistic self-expression, right from body art to paintings to sculpture to artistic cars. The highlight of this festival is burning of the huge wooden human effigy. Every year during summer the food lovers of the country gather in Rockland to be a part of the Maine Lobster Festival. In this festival around 25,000 pounds of lobsters are cooked and served. Apart from this other events in this festival are cooking competition, parade, live music and the Great Crate Race in which participants have to run across 50 floating lobsters crates but without being wet. Columbia River’s largest tributary Snake River is one of the best spots in US to enjoy white-water rafting. This large river rises from Yellowstone and travels more than 1000 miles through Idaho, Wyoming, Oregon and Washington. The ideal spot for rafting is Grand Teton National Park through Jackson Hole. Summer is not always about an outdoor barbecue party or lazing on the beach. This season why not sway with the waves on the Malibu Beach. The deep blue water, the long and lazy breaks along with the perfect wind is just so right for surfing. When it is summers, how can you not go camping? Some of the top campsites of the country are Grand Canyon, Mount Rainier National Park, Napali Coast State Park, Tahoe National Forest and many more. Set up your camp amidst the wilderness and spend a night under the umbrella of countless stars to take back home a bagful of beautiful memories. Taste the best vintage wines in California Wine Festival in Santa Barbara. In this festival you would get to taste the best wines along with gourmet food samples , while live music serves as the cherry on the top. This is considered one of the best wine festivals under the sun in the country. So what are you waiting for? 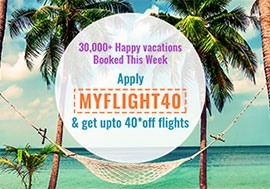 Book your flight tickets now and enjoy one Epic getaway this summer.